A wood figure of the Buddha, seated with his legs folded. The Buddha’s right hand is raised forming the gesture for granting wishes. His left hand rests on the knee, palm upwards and holding a globular medicine container. 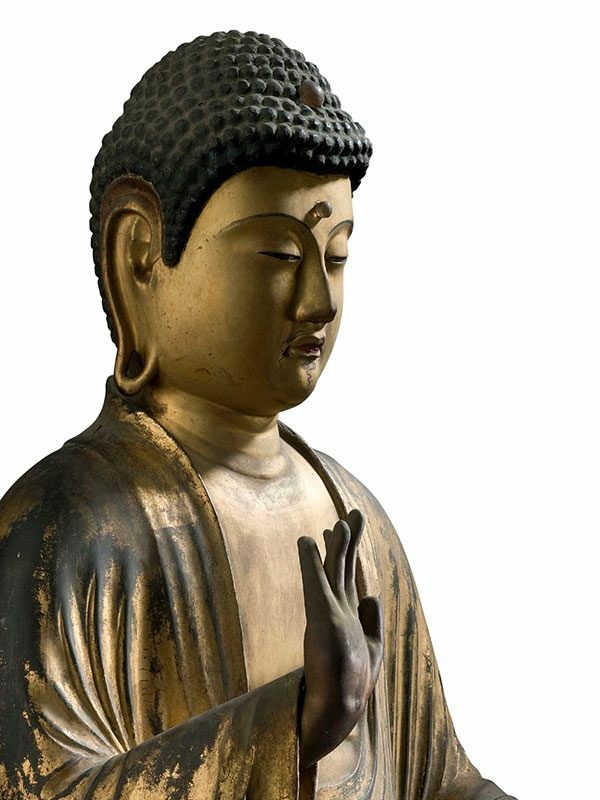 Stylistically, this serene, skilfully carved wood figure of the Buddha carries on the tradition of Japanese wood sculpture from earlier eras, such as the Kamakura period (1185 – 1333), typical features of which are simple, folded clothing and a serene expression. 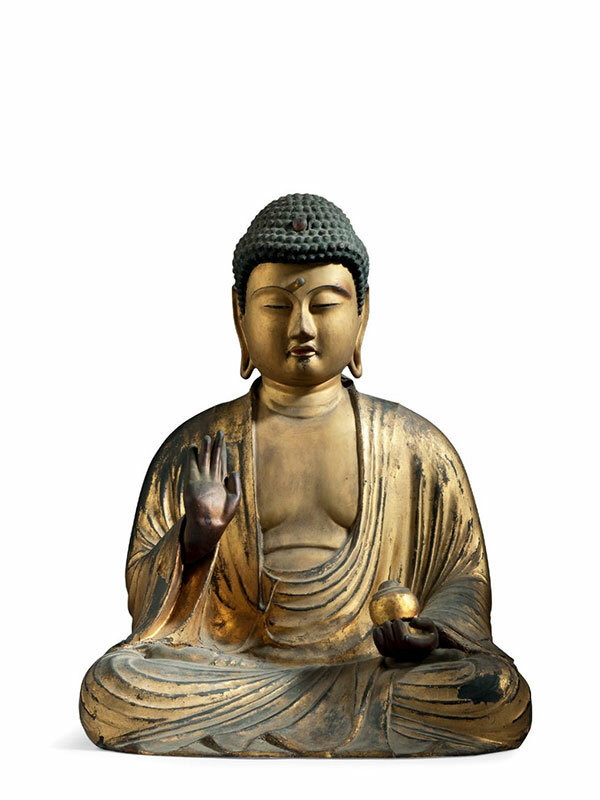 The present image of the Buddha is proof that the tradition of Buddhist sculpture was not lost entirely. The Medicine Buddha, Yakushi Nyorai or Bhai Ajyaguru, is as his name suggests, connected to healing. He is a Buddha who offers medicine to people suffering from illness, and grants nourishment to the mind and body. He is also referred to as ‘The Buddha of Emerald Radiance’; he carries out the functions of a physician and holds a medicine container in his left hand. This medicine container was made of the precious stone emerald, and by being bathed in its radiance, one is cured of illness.